We can’t wait to bring this Christmas production to all of you who start hanging up your stockings straight after we’ve thrown away our pumpkins. We also hope the rest of you won’t say “Humbug” and will start the Christmas Season with us a little early this year by bringing the entire family to this very special event. 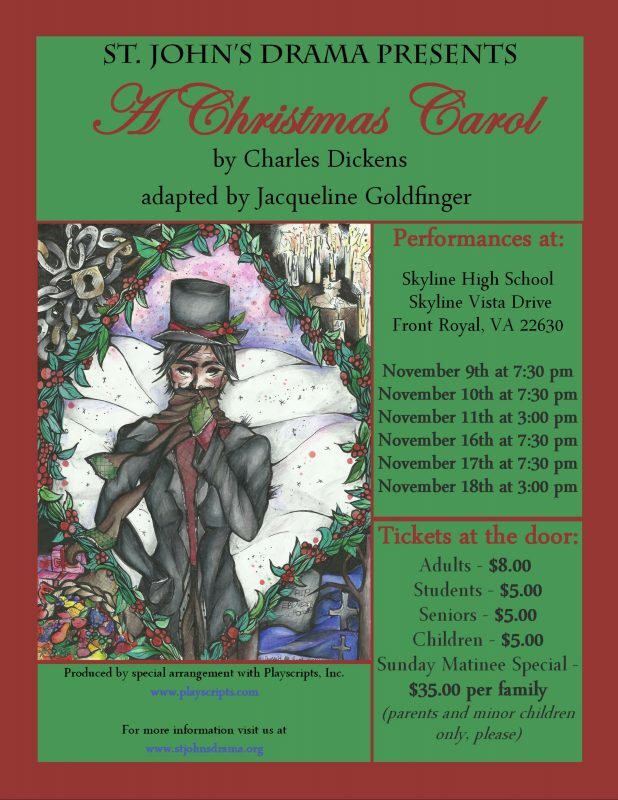 Six Performances will be held at the Skyline High School Theatre (151 Skyline Vista Drive, Front Royal, VA 22630). Sunday, November 18 at 3:00 pm. Ticket prices are $8.00 for adults and $5.00 for students, children (3 and up), and seniors (65 and over). The Sunday matinee special is a maximum of $35.00 per family (parents and minor children only, please). Tickets will be available at the door on the day of the performance. For further information, please visit our website at www.stjohnsdrama.org. 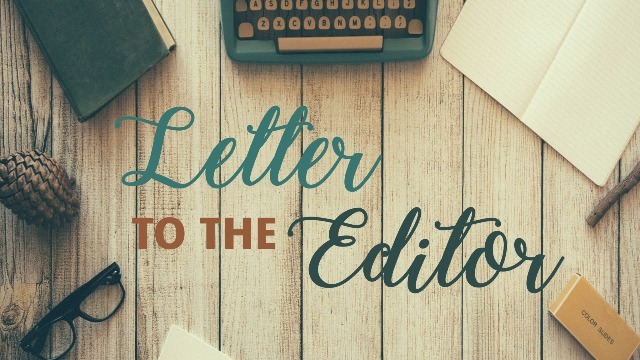 I write to you and your readers in support Mr. Bryan Layton, Esquire, in his quest to be the next Commonwealth’s Attorney for the County of Warren, Virginia. I carefully weighed entering this contest myself, and after careful deliberate consideration of current affairs I declined to run. Both Messrs. Layton and Bell are friends and colleagues of mine, and we have all dined and had adult beverages together. And if I am not mistaken both have been to events at my home. I respect both Messrs. Layton and Bell. But a choice must be made. I have known Bryan since he moved to Warren County to work. He is an excellent attorney and does his job well. I have always found him to be honest, ethical, and able to fairly evaluate and value a case. He does not waste time on cases that should not have been brought by the police and zealously prosecutes those cases which are properly brought. He strives for justice. He is an effective and efficient prosecutor and works to protect the citizens of this county on a daily basis. In the past several weeks, Mr. Bell called for a special grand jury to be empaneled, which was done but not because of Mr. Bell. Please let that be known. Mr. Bell and those around him who have tried to politicize this process, now seek to blame Mr. Madden and thus Mr. Layton for “not doing enough,” such is absurd. Since December the CA’s office had been in communication with the Judge to request a Special Grand Jury, which the press has not reported on. Such accusations are bogus and ill-informed, if not just ignorant. Those naysayers were not aware of the ongoing investigation because they are simply not privy to such information, nor should they have been. Certain court orders which are available to the public, show that the Office of the Commonwealth’s Attorney (hereinafter CA) was already working on developing a case along with the Virginia State Police. Mr. Bell and those should be familiar with § 52-8.1 and § 52-8.2 of the Code of Va. The laws of this Commonwealth require that when certain people or organizations are to be investigated, there is a proper mechanism for doing so. Otherwise, you may end up with political witch hunts. In the instant matter, when the CA realized that local law enforcement was not providing him the whole story, he realized that an outside organization, namely the Virginia State Police (VSP) needed to be brought into to investigate the matter since the Front Royal Police Department (FRPD) was effectively obstructing him from learning information (remember the FRPD and the Warren County Sherriff’s Office (WCSO) are the investigative agencies for him to use) and since the Sheriff was possibly involved the WCSO would also be tainted. Thus, the referral. The CA’s office in conjunction with the VSP then started their own investigation. See the public search warrants that have been unsealed. Mr. Layton and Mr. Madden had already been addressing such matters, drafting relevant search warrants, subpoenas, affidavits in support of the search warrants and knew full well that a special grand jury would be required as early as late last summer/early fall of 2018. But folks, timing is everything. Calling for a special grand jury before your investigation is even partially done is putting the cart before the horse and frankly could jeopardize the entire investigation. Prudence rather than headlines is called for. And thankfully Messrs. Madden and Layton displayed prudence and patience and were not seeking headlines. This due diligence allowed the VSP to conduct a significant part of its investigation to develop facts and background which can then be presented to a grand jury. That is how a case is developed. The CA’s office was well aware that local media coverage could and would create undue influence over a potential jury due to premature disclosure of evidence or revelations regarding people that were or are the foci of the investigation. We should all be very thankful of the discretion exercised by Messrs. Layton and Madden in the discharge of their duties, and for not political grandstanding as Mr. Bell is displaying now in his press releases and mailings which impugn the character of two good men. On Thursday, April 25, 2019, the citizens of Warren County have the right to vote in the Republican Canvass (primary) at the Warren County Community Center (the old library) from 3 to 8 pm. I ask if you are a registered voter to please attend (make sure to bring photo id) and vote for Bryan Layton for Commonwealth’s Attorney. 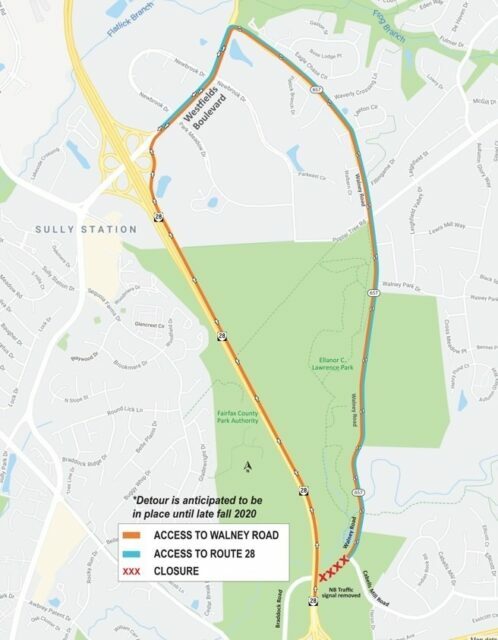 FAIRFAX, Va. — Walney Road will close between Route 28 and Cabells Mill Drive on or about May 1, 2019. Drivers will be temporarily detoured to Westfields Boulevard to access Walney Road from Route 28 through fall 2020. Access to Route 28 North from Walney Road will be permanently directed to Westfields Boulevard. These traffic changes are needed for improvements to the Route 28 and I-66 interchange as part of the Transform 66 Outside the Beltway Project. When work is complete, Walney Road will be reconnected with Braddock Road by a new overpass over Route 28. This overpass will provide direct access to and from both the new I-66 Express Lanes and general-purpose lanes, as well as to Route 28 to and from the south. The Transform 66 Outside the Beltway Project will also remove the four sets of traffic signals along Route 28 between I-66 and Westfields Boulevard. Walney Road will close between Route 28 and Cabells Mill Drive on or about May 1, 2019. Drivers will be temporarily detoured to Westfields Boulevard to access Walney Road from Route 28. Access to Route 28 North from Walney Road will be permanently directed to Westfields Boulevard. • Temporary closure of Walney Road between Route 28 and Cabells Mill Road through fall 2020. • Temporary elimination of the right turn and traffic signal from Route 28 North to Walney Road. • Drivers can access Walney Road from northbound Route 28 by continuing north to the Westfields Boulevard interchange, staying to the right to go east on Westfields Boulevard, then turning right on Walney Road. • Direct access to Walney Road from northbound Route 28 will be restored in a later phase of construction. • Permanent elimination of the right turn from Walney Road to Route 28 North. • Drivers can access Route 28 by taking Walney Road north, then turning left on Westfields Boulevard to the Route 28 interchange. • Drivers accessing Braddock Road from I-66 and Route 28 North can continue to utilize the left-turn lanes and the existing traffic signal during this phase of construction. 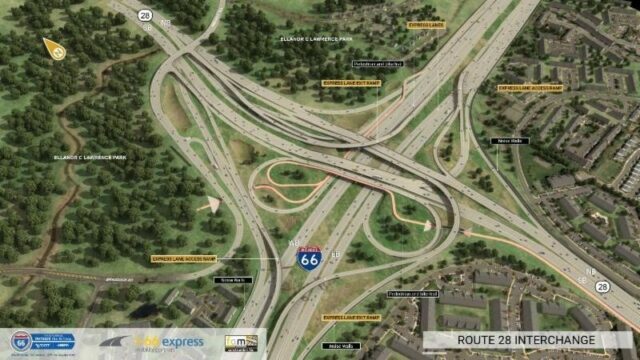 Drivers should expect construction-related detours and additional changes to traffic patterns as work progresses at the Route 28/I-66 interchange and along Route 28. Drivers are reminded to use caution and pay attention to lane markings and roadway signs in construction work zones. Learn more about the project and sign up for project updates and lane closure alerts at Transform66.org. When complete in December 2022, the reconstructed Route 28/I-66 interchange will provide access to and from the new I-66 Express Lanes as well as general purpose lanes. Braddock Road and Walney Road will be connected by an overpass over Route 28, with direct access to and from I-66 Express Lanes and general purpose lanes as well as Route 28 to and from the south. Councilman Eugene Tewalt responds. Photo and video by Mark Williams, Royal Examiner. At the April 22nd Town Council meeting, Vice-May Bill Sealock, in the Mayor’s seat, received his first earful from Paul Gabbert when spoke about the IT contract that was on the agenda and also when he brought up the Crooked Run West request for water to the residential development. Surprisingly there were comments from the Council. The Town Manager reports that the new Police Department was ready and staff was moving into the building and a ribbon cutting will be sometime in May. The Royal Examiner has scheduled time with Chief Kahle Magalis to discuss the move. He told us that boxes are everywhere and to give him a few days to unpack. That’s understandable. 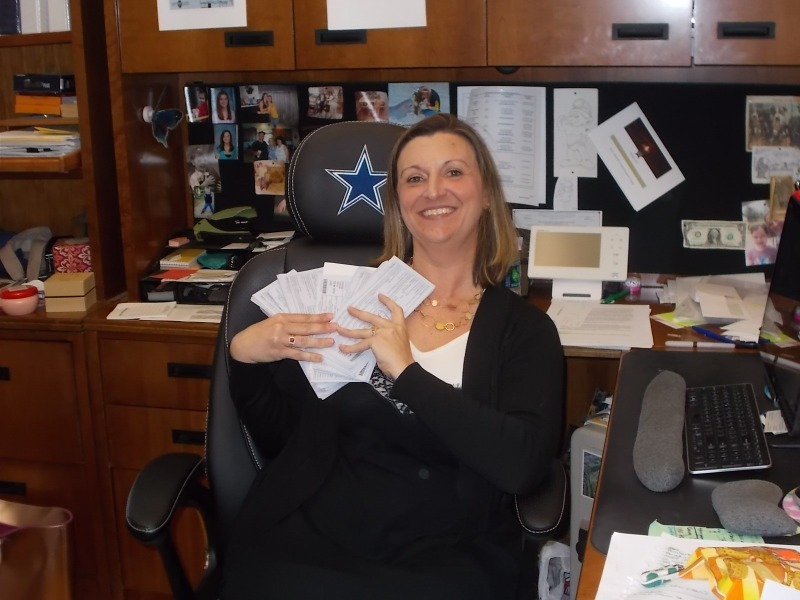 Unsealed documents related to a Virginia State Police investigation into the finances of former Front Royal-Warren County Economic Development Director Jennifer McDonald indicate that she lied about slot-machine gambling winnings at the Hollywood Casino in Charles Town, West Virginia. The documents released on Tuesday, April 23, indicate that between 2014 and September 30, 2018, McDonald lost a total of $753,207.32 – “This figure includes winnings and losses for McDonald,” one page of the unsealed documents states. “The Hollywood Casino records obtained by Court Order indicated information that was in direct conflict to what Jennifer McDonald has stated publicly,” VSP Special Agent Eric Deel reports in a nine-point affidavit filed in November 2018. In January 2018, McDonald approached this reporter about doing a story about a recent slot machine jackpot she said she hit at Hollywood Casino. The unsealed VSP documentation summary references the consequent Royal Examiner article published February 8, 2018, citing, “public concerns over real estate investments that appear to be beyond her financial means”. At the time McDonald told Royal Examiner that word of a recent jackpot she had hit was on social media and she wanted to get an accurate story out. In that Royal Examiner story McDonald claimed three years of slot machine winnings of between $500,000 and $800,000 each year, totaling about $2 million. The timing of McDonald’s report of years of winnings spending a minimal amount of her own money – between $1,000 and $3,000 along with comparable amounts of house money, she estimated – coincided with Royal Examiner Editor Norma Jean Shaw’s exploration of large amounts of cash McDonald was using in her private real estate business. JACKPOT!! 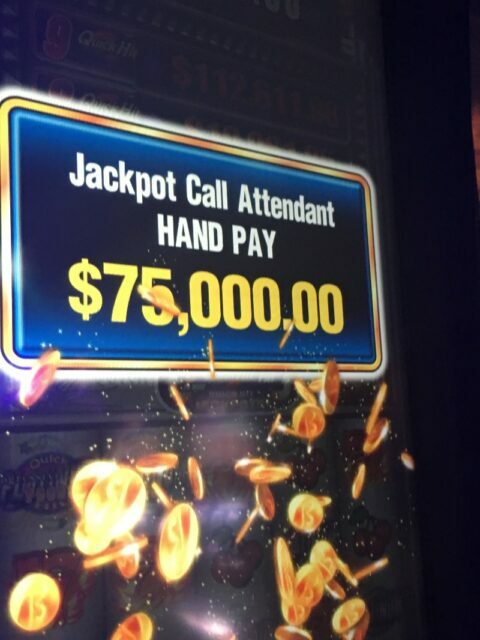 – McDonald said her favorite ‘Quick Hit’ dollar slot once paid off to the tune of a $75,000 jackpot. McDonald and two real estate companies she owns, along with a partner in those businesses, Warren County Sheriff Daniel McEathron, are listed among nine defendants named in a civil litigation filed March 26 on behalf of the EDA. That civil suit seeks recovery of a minimum of $17.6 million in alleged misdirected or embezzled EDA assets. McEathron, like Earth Right Energy Solar Commercial LLC principals Donnie Poe and Justin Appleton, has issued a statement denying knowledge of any financial improprieties in transactions related to McDonald business or contractual matters. McDonald resigned the EDA executive directorship she had held for a decade on December 20, 2018, under increasing scrutiny by the EDA Board of Directors three months into an ongoing forensic audit of EDA finances over the past decade. Other information gleaned from a quick perusal of the 152 pages of documentation released by the Warren County Circuit Court Clerk’s Office Tuesday morning also indicates VSP subpoenaing McDonald financial records at two bank branches with Strasburg addresses, United Bankshares, Inc at 120 Oxbow Drive and First Bank at 406 Borden Mowery Drive. Both bank record subpoenas date back to January 2, 2014. 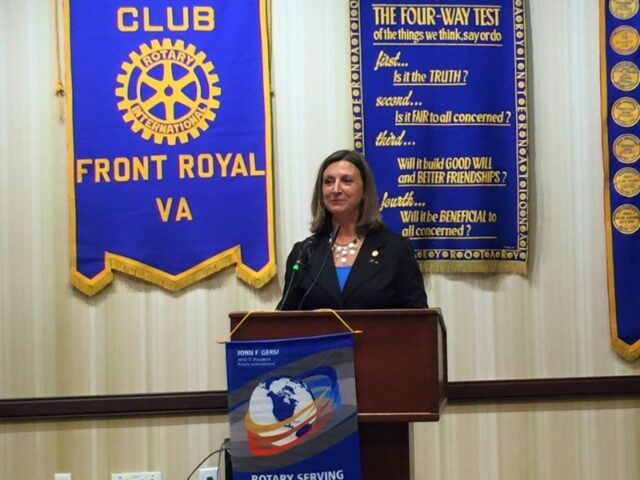 The ongoing forensic audit of EDA finances and VSP investigation into Jennifer McDonald’s banking and gambling practices overlaps her tenure as Annual President of the Front Royal Rotary three years ago. An affidavit notes that the Town of Front Royal asked VSP “to investigate fraudulent and misleading conduct and reporting by McDonald in reference to a debt service quarterly billing” to the town government. As result of an internal audit by Town Finance Director B. J. Wilson ordered by council to explore an internal loan, last August town officials approached McDonald and then EDA Board Chairman Greg Drescher about debt service overpayments. Perhaps coincidentally, Drescher resigned his board chairmanship the following day. The affidavit adds that, “McDonald, as Executive Director, has offered to reimburse the Town of Front Royal tens of thousands of dollars for said discrepancies in billing. She has also asked for an audit that would be confidential and not made public” – Uh oh, too late for that. Do we see a change of venue request coming from any potential prosecutions related to this investigation? 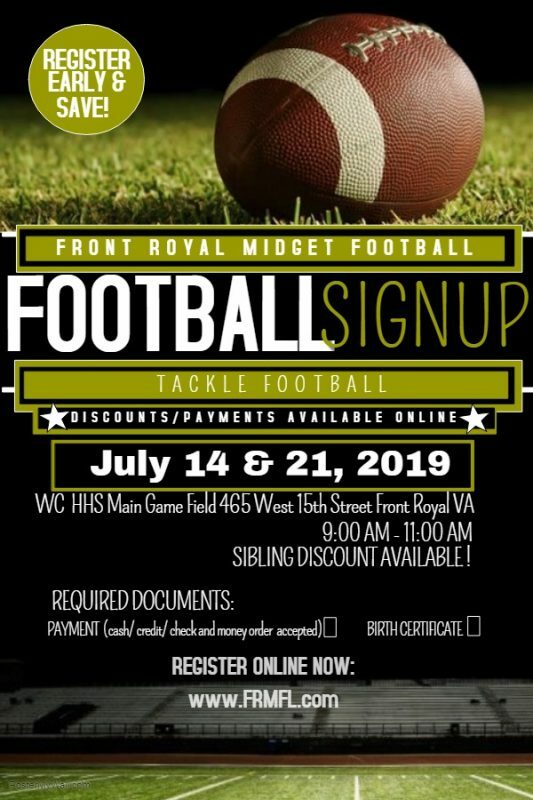 Front Royal Midget Football – Register early and save! Register early for the 2019 Fall Football season, as discounts and payments are available online! Front Royal Midget Football League participates in the Apple Valley Football League with teams from Winchester, Clarke County, Warrenton, and Capon Bridge, WV. The age requirement to be eligible to play is based on 12:00AM children – must be 5-years-old by August 1, and not 14-years-old as of August 2. 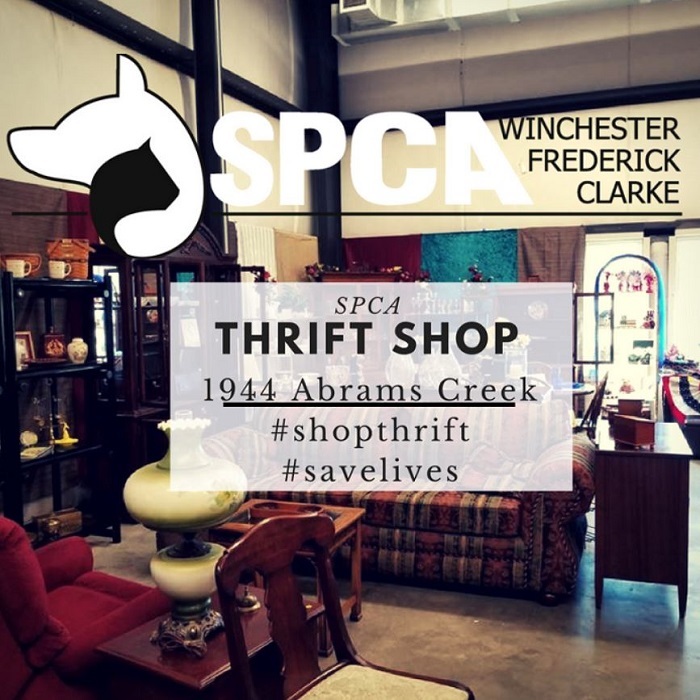 ONLINE REGISTRATION and PAYMENT is strongly encouraged to cut down on the paper forms and to consolidate all information into our online database. The following paperwork is required for all athletes for the 2019 season. Please Note: If you have registered online, the following paperwork is still required to complete your registration. Players will be allowed to participate only when all forms have been submitted. Your child cannot begin practice if there is any outstanding paperwork or payment due – no exceptions! Once registered, all players must weigh-in prior to the start of the season. Additional details will be forthcoming, but weigh-ins will be held at the end of July when we hold our in-person registration.